Science is a huge topic that includes a broad range of different subjects. From explaining how simple everyday things work, to exploring the hidden world of subatomic particles, from conducting experiments to prove or disprove theories, to exploring space. All of these are fields of interest that reside under the general banner of science. The word “science” essentially means “knowledge,” and it’s this quest for learning and understanding that has driven mankind to the height of its power. The Web offers ample opportunity to disperse that knowledge to greater numbers of people, and YouTube has many great science channels. Listed below are 10 of the best Youtube science videos that we feel you shouldn’t miss. For those who don’t know, NASA is the National Aeronautics and Space Administration AKA the guys who put man on the moon. Their YouTube channel features over 2,000 videos and counting, with playlists including specific expeditions into space and behind the scenes reports. All of which are delivered with a gravitas that comes with 50 years of pioneering work. Focus: News on the latest goings-on at NASA. The Minute Physics YouTube channel features dozens of videos that will interest all of those into science. The subjects discussed to date include ‘The Origin Of Quantum Mechanics‘, ‘Usain Bolt Vs. Gravity‘, and, as embedded above, ‘Why Is It Dark At Night?‘ The videos are animated to appeal to everyone, and narrated in a easy to understand manner. Focus: Interesting science questions answered using everyday language. The Science Channel features the best science videos all compiled into one long playlist. If you’re heavily interested in watching science being explained while also having your eyes treated to some stunning images then you could happily spend a day watching clip after clip from this channel. In fact, that’s exactly what I plan to do on my next day off from work. Focus: Mostly space exploration and astronomy. SciShow is the brainchild of veteran video blogger Hank Green, and it’s a channel dedicated to exploring science topics in simple and fun ways. No subject matter seems to be off-limits, and they’re all explained in such a way that you are guaranteed to be entertained. If you like stuffy scientists explaining things in a dreary fashion then avoid SciShow. Focus: Answering questions we would all ask if we were more intelligent. The Periodic Table Of Videos is a YouTube channel that set out on a mission: to create a video for each of the 118 elements in the periodic table. It accomplished this with ease, and is now committed to updating those videos while also offering other kinds of content. This includes seeing how different chemicals react with each other… which is always fun. Focus: Chemistry and the chemical elements of the periodic table. Veritasium is a video blog all about science, and once again the range of topics explored is phenomenal. Experiments are carried out, misconceptions are laid to rest, and science is explained through the power of song. No, seriously. Anyone wanting to learn more but not willing to stick their head in a textbook can gain new knowledge from this channel. Focus: Bringing science to the masses in a fun way. Bill Nye The Science Guy may no longer be on our television screens, but that’s no reason to forget about him. This channel is sadly no longer being updated either but it’s worth including in order to introduce Nye to a wider audience. He comes across as a mad scientist but that style will keep you engrossed as he offers introductions to some complicated subjects. Focus: Quirky demonstrations and rambunctious rants. Steve Spangler is a science teacher and author whose primary objective is to make science fun. Which it usually is. Spangler’s channel Sick Science! features simple experiments that can be done by anybody at home with no special equipment or training. This is science in its most practical form, showing how it affects us on a daily basis. Focus: Simple science experiments that everybody can try for themselves. AsapSCIENCE is a YouTube channel offering a weekly dose of science-based edutainment. 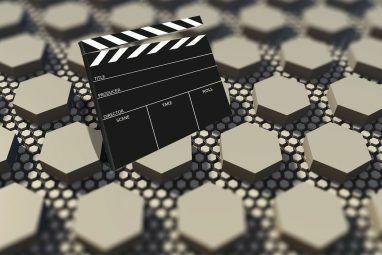 It’s fairly new at the time of writing, so there aren’t all that many videos available to watch, but what there is will intrigue and enthrall you. At least if you have an inquisitive mind that’s eager to learn about topics in the science field. Which you really should have. Focus: The topic of the day explored in a fun animated video. Vsauce isn’t a YouTube channel wholly dedicated to science, but it deserves its place on this list because when it does do science it does it phenomenally well. The questions that are posed and then attempted to be answered are a little random at times, but it’s that sense of veering slightly away from the well-trodden path that makes Vsauce a treat to watch. Focus: An entertaining trawl through the InterWebs. Science goes hand in hand with technology, and the two are often referred to as one generic topic. 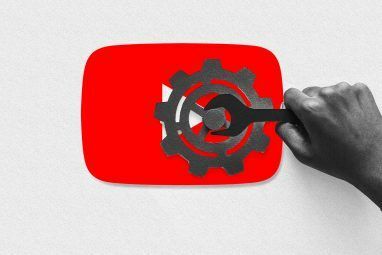 If you enjoyed learning about the 10 science YouTube channels you shouldn’t miss then you’ll likely also enjoy learning about the 10 technology YouTube channels you shouldn’t miss 10 Technology YouTube Channels You Can't Miss 10 Technology YouTube Channels You Can't Miss Read More . As always we’re keen to hear your thoughts on the subject at hand, so please feel free to comment below. Do any of these channels stand out above the others? Is there one we haven’t included that you think deserves a place on the list? All comments are read, and many are replied to. Explore more about: Astronomy, Geeky Science, YouTube. Smarter Every Day and Kurzgesagt – In a Nutshell are pretty good too. Missed the Crash Course canal, very cool! Hugs! Crash course - Chemistry, World History, Biology, Literature, and Ecology. All of these channels are my favorites, and populate most of the videos on my online science video catalogue videosci.com, in an effort to catagorize all the scattered science streaming videos. My personal favorite is MinutePhysics. These are some of the best YouTube Channels that explain scientific facts properly and quickly. In today's fast Internet life videos play a very important role; you can't spend your time reading a whole page about a scientific concept. So, you can get a good idea of it with a video very quickly. Thanks for sharing this MUO. :) You are the best! :) Keep sharing more stuff like these. Well, Infographics are also very effective I think. You can post about some good places for finding Science Infographics. You have a great point there, videos are a good way of explaining complex ideas in a fast and simple manner. I'm planning on writing more round-ups of YouTube channels, so keep your browser pointed at MakeUseOf. Thanks for sharing these informative Youtube channels. My favorites are The Science Channel, Sick Science! and NASA. Awesome websites! Thank you Dave Parrack for compiling & writing this! Thank you MakeUseOf.com for making it available to us ALL! Awesome! I bookmark this link, haha. A very nice list of channels and a few new that were unknown for me. Thanks for sharing. All of them useful. YouTube is my TV. why can't I find the share buttons !! The share buttons are floating on the right-hand side of the article. You might have to expand your browser window. where is the share button ?? Check the right-hand side of the article. The buttons are floating there. You might have to maximize your browser window. 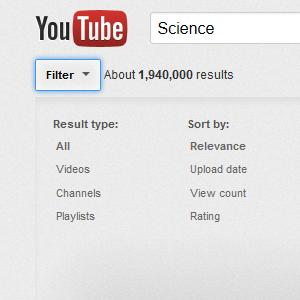 I love all of these channels, but Vsauce and SciShow are among the best of the best. What about creating a list of channels for other categories. Gaming might be a choice, or maybe bands there aren't popular but is worth a visit. How can I share this article on my G+ that I also receive points?! If you have a registered MakeUseOf account then you simply click on the Google+ +1 button on the left side to share it with your circles. When I read the post until the end, there is one picture i cannot ignore, the Nikola Tesla face. It shows the simple and smart mind. I don't know, but it is look interesting channel. Everybody should check that one. And making post about it too. Great..
science resources combined in one place. thanks. Cool nobody will call me a dunce again. We should use that as a tagline - "MakeUseOf - Educating dunces everywhere." Sick Science! was new to me, thanks! 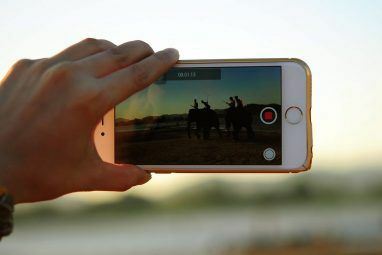 Very nice article showing the educative side of YouTube. This article will definitely be shared, when I get home. Social sharing sites are denied at school, even YouTube! AsapScience is relatively new, but skips on the various complex explanations and intrigue us with animated pictures, a very nice concept for teens and folks with short attention span. The others are also well detailed. I am happy to say that I am already subscribed to almost all of this channels. Wow, that's good going. I hope there was at least one channel featured that was new to you.